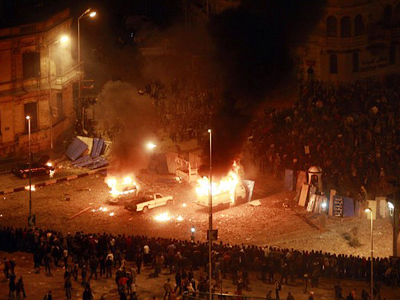 Unrest in the Arab world is showing no sign of letting up, with Morocco entering the game of the hunt for reforms. 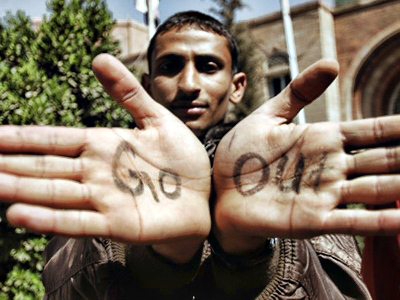 Protestors in Libya, Algeria, Bahrain and Tunisia are all striving for a more democratic process and do not intend to give up easily. Morocco’s capital Rabat saw at least 2,000 people rally on Sunday. The protestors demanded a new constitution and better economic opportunities and health services, educational reform and help in coping with rising living costs, according to the Associated Press. The main target of the protest was the parliament, not King Mohammed VI. Some people were said to be waving Egyptian and Tunisian flags to express solidarity with the popular uprisings in those countries. Tunisia has reawakened to protests with several thousand demonstrators ringing the governmental palace and demanding the ouster of the provisional government. The government came into power in the middle of January after the expulsion of the country’s longtime president. The demonstrators were angered that they did not see any profound changes in the economy or politics. Moreover, the crime toll in the country has been gradually increasing since the overthrow. Many fear that the revolution has been taken over by the former regime. At least 200 demonstrators were killed in Libya in six days of unrest as government forces cracked down on demonstrations against the country's longtime leader, Colonel Muammar Gadhafi. 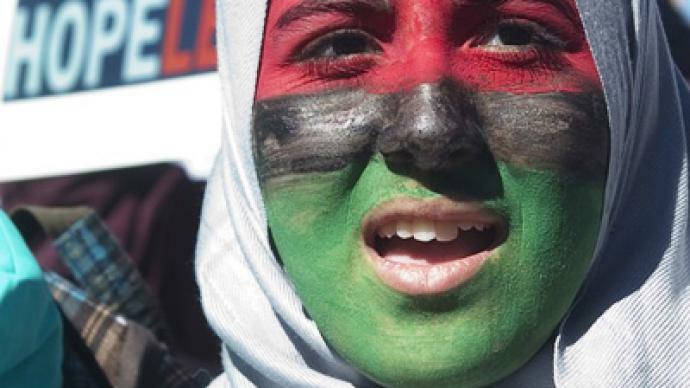 The capital Tripoli is relatively calm, but the eastern part of Libya has been overwhelmed with clashes, with some reports suggesting that rioters have taken control of the third-largest city. Some of the police are said to have sided with the demonstrators. It is reported that sniper units and heavy weapons were being deployed against protesters in Libya's second city, Benghazi. Protest slogans have merged with wails of mourning over the people killed during the unrest. In Algeria, the president has offered concessions to anti-government protesters, promising to lift a state of emergency that has been in force for the past 19 years. But the ban on protests would remain in place. On Saturday a march gathered thousands of pro-democracy supporters in Algeria to criticize corruption and poverty in the oil-rich country. The protesters were outnumbered by the police forces. Algeria's opposition leader, Tahar Besbes, was badly injured when police dispersed an anti-government rally. And in Western-backed Bahrain, six people were killed and over 200 injured in clashes with government forces as thousands took to the streets to demand reforms and the ouster of the king. While the opposition is preparing for talks with authorities, the riot police are said to have used arms supplies made by British companies to disperse the protesters. 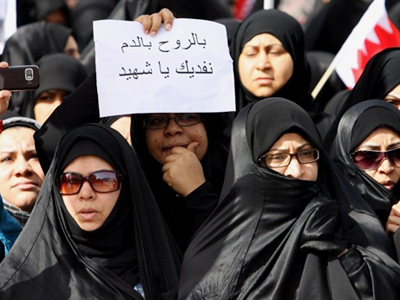 On Sunday Bahrain was largely paralyzed by a general strike called by opposition groups and workers' unions. Hundreds of protesters spent the night back in the capital’s main after the security forces were withdrawn on Saturday. One protester was shot dead in Yemen's capital Sanaa on Saturday when police opened fire on a march by thousands of demonstrators. On Sunday the marches continued. Most of the protesters are students, educated professionals and activists who used social media sites Facebook and Twitter, according to the Associated Press. Yemeni protesters are seeking to oust longtime President Ali Abdullah Saleh. Saleh, for his part, met thousands of cheering supporters in Sanaa on Sunday and called on the protesters to “respect the law, get permission and demonstrate in a peaceful way,” according to the AP. 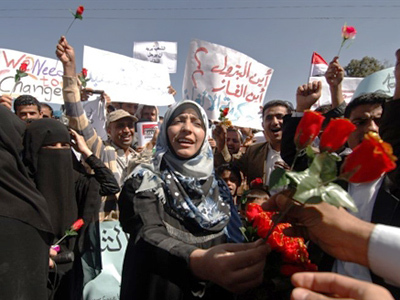 Saleh has repeated his offer for negotiations with the demonstrators. In Egypt, there have been mass celebrations marking a week since Hosni Mubarak was ousted as president. But an expert on the Middle East, James Denselow from King's College in London, says that so far Mubarak's associates are still in power. “And we’ll see what happens next in terms of real constitutional changes to the state of emergency, whether political parties can rise from the ashes of Mubarak’s authoritarianism,” Denselow added. “The genie has well and truly been let out of the bottle, and the reverberations from what happened in Tunisia are now been felt in every single state,” the analyst concluded. US-based radio host and film director Alex Jones says that one factor forcing people out onto the streets is dollar inflation and the self-serving policies of major banks. And austerity via globalism, Jones continued, is also coming to Western Europe, such as Ireland and other places. 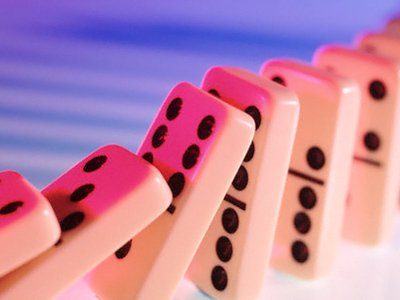 “Because everything is now going to off-shore private central banks, the system hopes to use all of this new furor on the streets as a pretext to, basically, roll in another layer of intensified police states,” Alex Jones concluded.